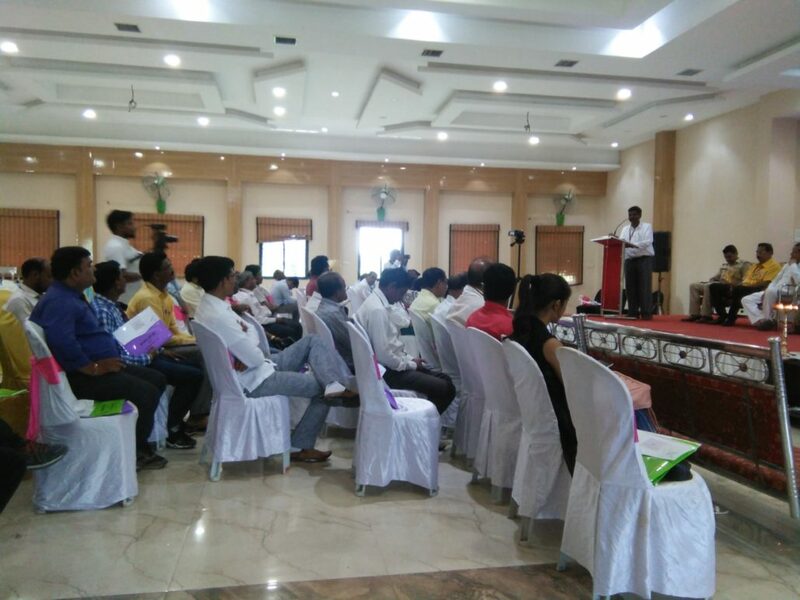 NCCI – VCLC (Vidarbha Centre for Labour Concerns) empowering the next generation Journalists for a just society. The VCLC along with District Journalist’s Forum and Star Apex News had jointly organized a one day work shop for the progressive Journalist’s of Butibori in Hotel Royal Regency, Butibori on 30th September 2018. The Butibori Journalist’s Union welcomed the participants. The Deputy Superintendent Ms Reena Janbandhu congratulated the efforts of the local organisers for this attempt to empower the next generation of budding Journalists. During this workshop many Journalist’s were awarded for their fearless write ups which challenged Corruption and the various Developmental issues. The workshop had two sessions. In the first session, the legal aspects and role to be played by the press and media were spoken of. 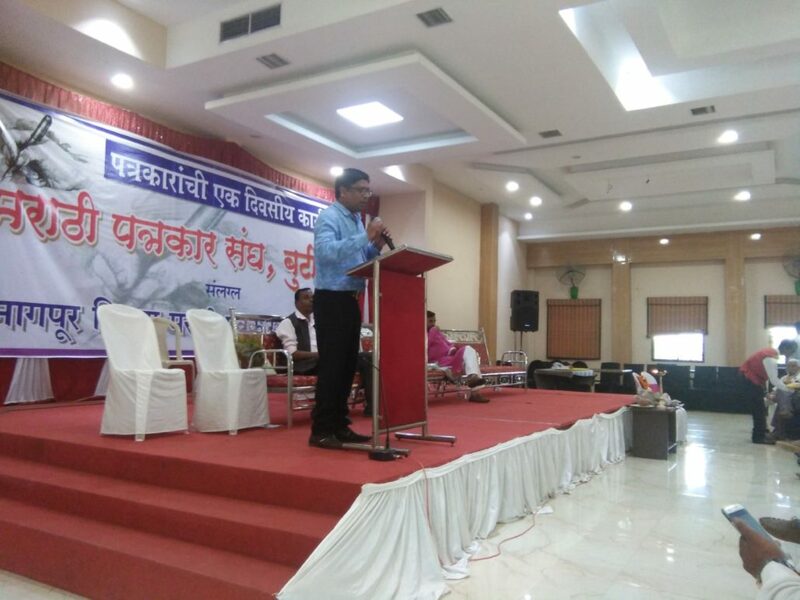 One of the speakers hailed the Maharashtra Government for introducing the bill to protect the on-duty journalists and media persons. He also congratulated them for taking the lead in enacting the first ever law in the country to protect the media and journalists, who have been paying a heavy price for upholding their right to “free and fearless reporting” of news and views. Resource person Yogesh slated that the (Prevention of Violence and Damage or Loss to Property) Act, 2017, adopted by both the Houses of the State’s legislature early this month, covers all journalists and media houses and organizations and makes the attacks on journalists and media establishments punishable with both fines and jail terms. The Act, however, also penalizes its willful misuse by journalists or media organizations. The participants found this session enlightening and helpful. Post-lunch, the Second Session discussed on the roles and responsibilities of the Journalist’s in the changing sociopolitical context. Dr. Bhola Sarovar slated that the role of the media is influential in social change and social innovation processes. “The role of the media in social change can either be progressive or conservative,” said one of the resource persons. Media can support the renewal of society by introducing new, constructive angles and new knowledge. It can question prevailing operative models and paradigms. The media can, however, also impede progress and cast doubt on warranted social reforms or take a passive stance in a change situation. What is particularly important in a change situation is the feedback that policy-makers and other social actors receive through the media. It has a direct impact on how positively social reforms and initiatives are perceived and how likely they are to be accepted. “The media could take a more active role in promoting social reform without compromising their journalistic principles. Involvement in social change does, however, require solid competence on behalf of the media,” said the Resource person. The workshop concluded with all the participants having an open forum. The closing ceremony was done by Naagesh Girhe. https://ncci1914.com/wp-content/uploads/2018/10/IMG20180930162441.jpg 1080 1440 Sunita gaikwad http://ncci1914.com/wp-content/uploads/2018/05/NCCILOGO105-300x72.png Sunita gaikwad2018-10-01 20:17:482018-10-01 20:19:05NCCI - VCLC (Vidarbha Centre for Labour Concerns) empowering the next generation Journalists for a just society. 3rd November 2017 | NCCI Campus, Nagpur. 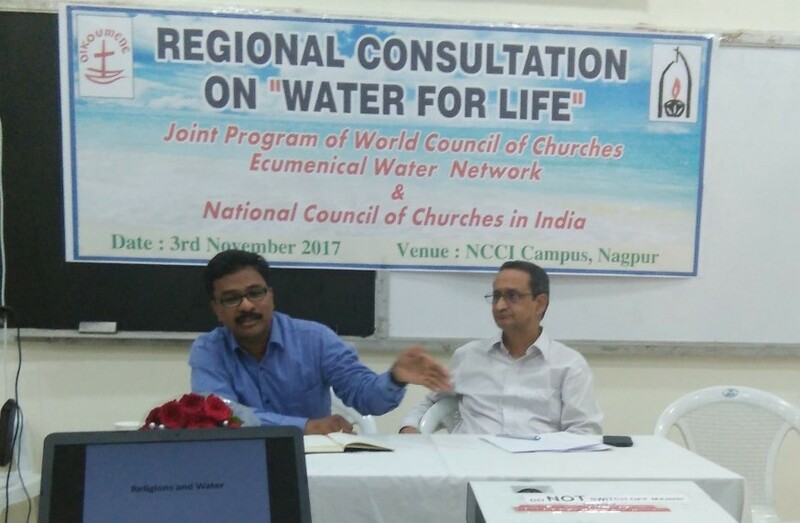 A one-day consultation on ‘Water for life’ was organized in the NCCI Campus on the 3rd of November 2017. 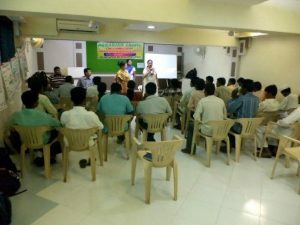 It was a joint program of the Vidarbha Centre for Labour Concerns – National Council of Churches in India VCLC – NCCI) and Ecumenical Water Network – World Council of Churches (EWN – WCC). 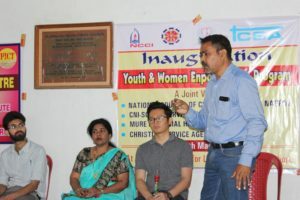 The 50 participants in the consultation were from the Church of North India, Mar Thoma Church, and the Orthodox Seminary, from faith-based organizations and also people (people of different faith traditions) from Butibori – MIDC and Totladoh who have been affected by developmental activities in the region. NCCI Secretaries and Interns also participated in this consultation. The major focus of the program was on the International, National and Local issues of the Water Crisis as water is being commoditized and therefore this natural resource is made available unequally. Migrants form the largest part of India’s vast unorganised work sector. Their entry into the labour markets is marked with several endemic disadvantages. Devoid of critical skills, information and bargaining power, migrant workers often get caught in exploitative labour arrangements that force them to work in low-end, low-value, hazardous work. Lack of identity and legal protection accentuates this problem. The hardships of migrant workers are especially magnified when state boundaries are crossed and the distance between the “source” and “destination” increases. 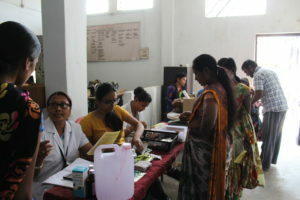 In India, thousands of people including men, women and children mostly Dalits and Adivasis, are forced to migrate from their homes to other places because of poverty, unemployment, limited economic activities, landlessness, global warming, environmental calamities, failure in agriculture due to uncertain monsoon and floods, deforestation, political persecution, poor medical care facilities in their native place, forced displacement due to so-called developmental work, and so on. Keeping these things in mind NCCI-Dalit and Tribal/Adivasi Concerns in partnership with Vidarbha Centre for Labour Concerns and Bahujan Rangbhoomi (street theatre group) celebrated May Day with more than 200 various labour migrants as well as locals from the Butibori and Hingna (Maharashtra Industrial Development Corporation) MIDC area at Samvidhan Chowk (Constitution Square), Near Kasturchand Park, Nagpur on 1st May from 4:30 to 6:30 pm. 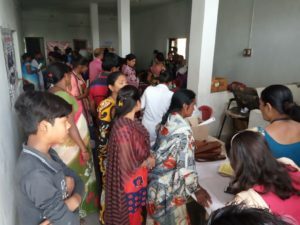 This celebration was done through sharing of Experiences, Street Theatre performances, singing songs of Liberation and Expressions of social-workers. 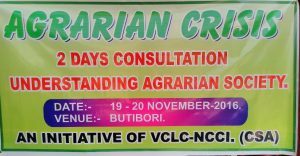 An AGRARIAN CRISIS CONSULTATION was organized by Vidarbha Centre for Labour Concerns (VCLC), a project of National Council of Churches in India (NCCI) in Butibori on November 19 – 20, 2016. There were 30 people participating in the consultation. Prof. Dr. Yugal Rayalu presented a helpful analysis of the agricultural situation. 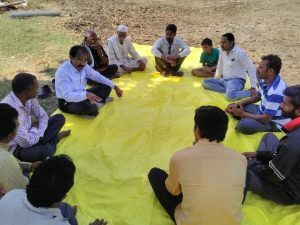 Small group discussions catalyzed the issues, and the participants planned a draft to be submitted to the Government of Maharashtra Ministry of Agriculture during the winter assembly. 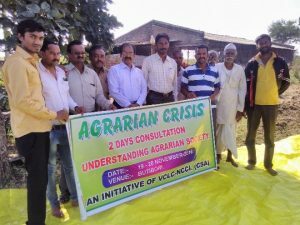 The issue of Farmers cooperative movement has gathered momentum after the NCCI – VCLC consultation. To commemorate the long historic legacy of organizing people on issues of life by Comrade Gardiaji, Programme for Social Action [PSA], Public Justice Concern [PJC], Delhi Forum, Urban Rural Mission [URM] and Jan Jagruti Munch [JJM ] and the local groups came together to reflect upon and to redirect the vision of peoples struggle in the era of Neo Liberalization. Peoples Movements including activists of various issue based movements assert the principle that a consultation needs to be “people-driven”. Allowing delegates the time and space to tell their own stories contributes to that goal and plays a vital role in answering the real needs of the oppressed and the victims of the Neo Liberal System. 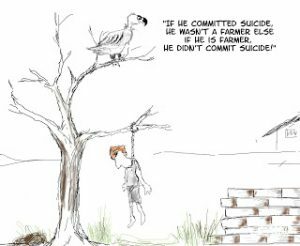 In a bizarre development, seven debt-ridden farmers, among them three women, in Maharashtra’s Wardha district have sought the administration’s “permission” to commit suicide.